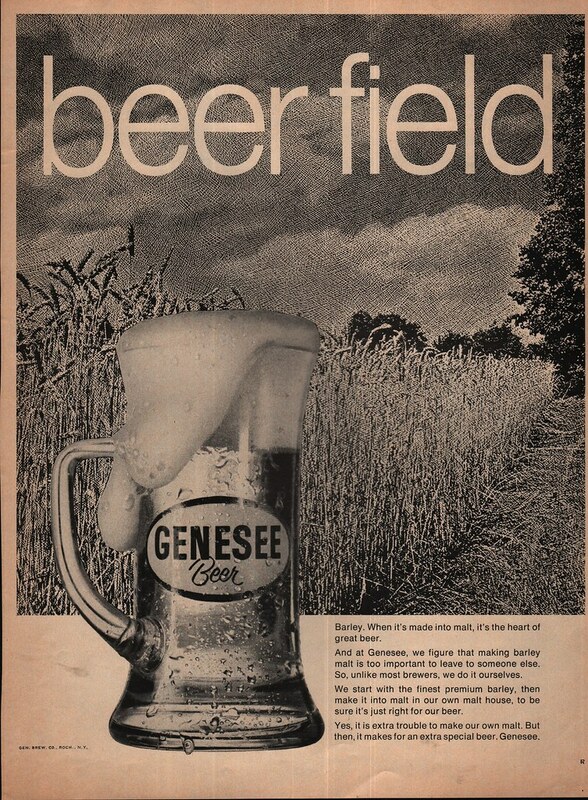 Friday’s ad is for Genesee Beer, which was founded in Rochester, New York, originally along the Genesee River, but in 1878 they moved up into Rochester proper. Their Genesee Cream Ale, in the simple green can, was one of our go-to beers when I was in high school. Since 2009, the brewery has been part of North American Breweries. This ad, from 1970, features another full mug of beer with the weird foam. The background is a field of barley, and in the text they claim that they grow their own barley. Today is the birthday of Anthony Yoerg (October 5, 1816-July 5, 1896). 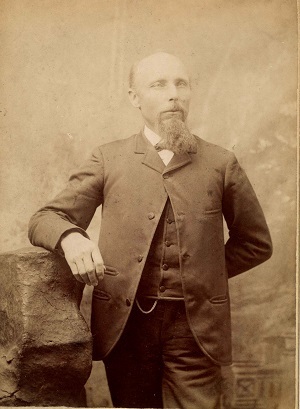 He was born in Bavaria, was trained there as a brewer, and came to America when he was 29, settling first in Pittsburgh, then Illinois, before settling in St. Paul, Minnesota in 1848. 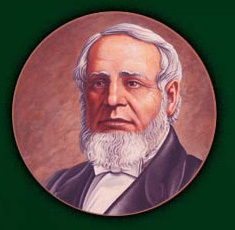 In 1869, Anthony and his son built Minnesota’s first brewery, and began selling beer the following year, in 1870. 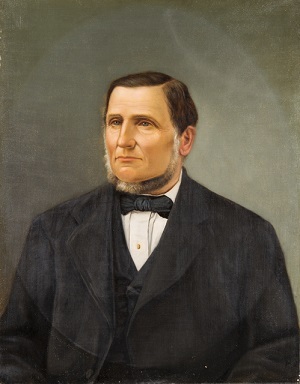 Anthony Yoerg, born in Bavaria in 1816, arrived in St. Paul in 1848. 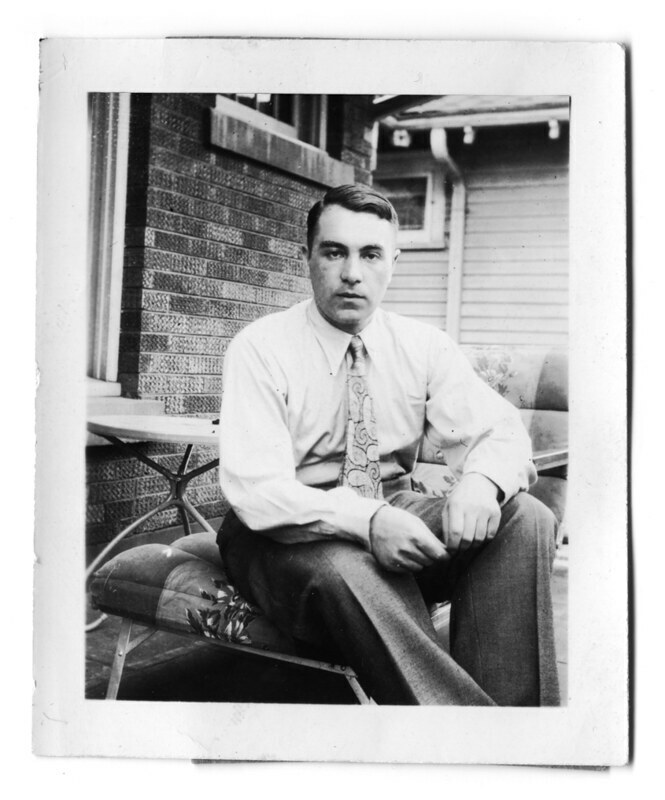 After a failed attempt at running a butcher shop, he and his son, Anthony Yoerg, Jr., began construction of Minnesota’s first brewery that winter near where Washington and Eagle once met (just bellow the current civic center parking lot). Their first beer was sold the following spring. In 1870 the Yoergs moved their operation across the river to Commercial (Ethel) & Ohio St. This new location was equipped with the latest in steam-powered equipment as well as five cellars excavated into the sandstone bluffs to serve as fermentation and storage holds for the popular lager beer. 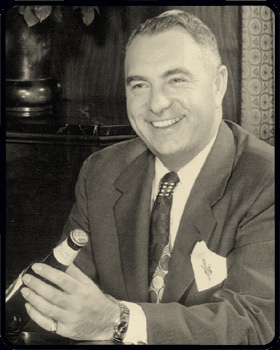 Anthony Yoerg died July 5, 1896, leaving his family to operate the brewery as the Yoerg Brewing Co., which they did successfully even through Prohibition, when they produced soft drinks. Beer began flowing again after Repeal and the Yoerg Brewing Co. continued operation up until 1952. The brewery buildings were eventually occupied by the Harris Plumbing Company. On September 26, 1958, the main building caught fire and was eventually razed. 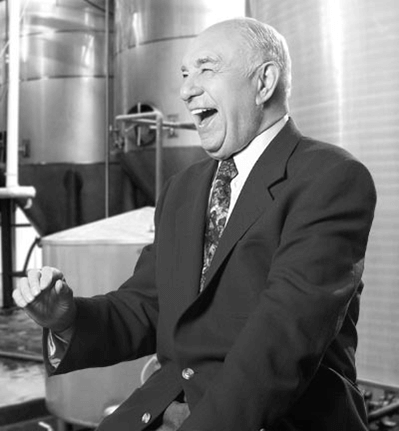 Anthony Yoerg was “Minnesota’s first commercial brewer. Born in 1816, Yoerg was born in real beer country, Bavaria Germany. 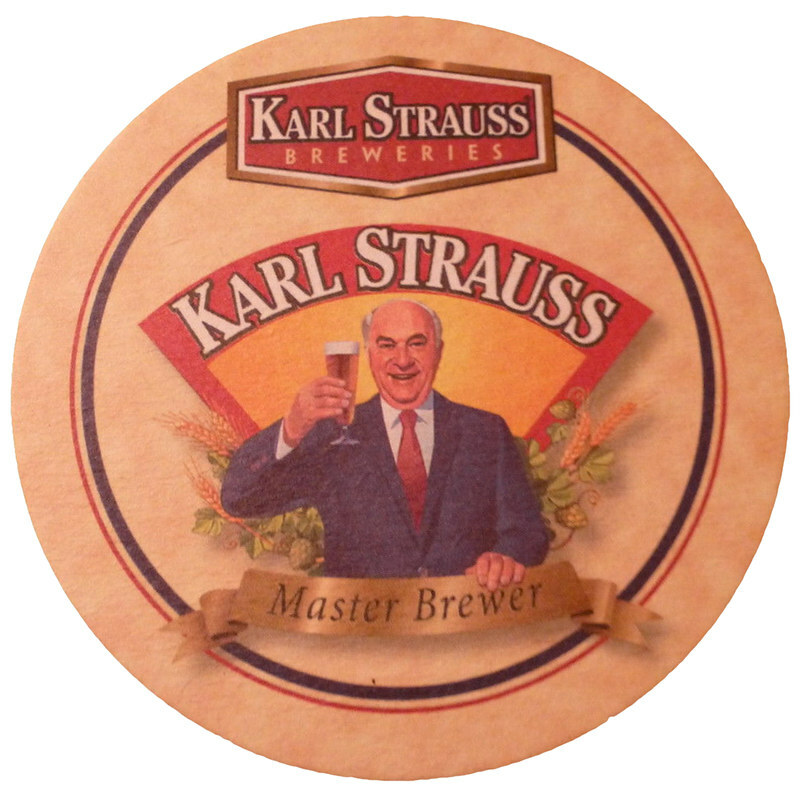 He was trained as a brewer in Bavaria and moved to the United States when he was 29. He jumped around the country a little before landing in St Paul in 1848. 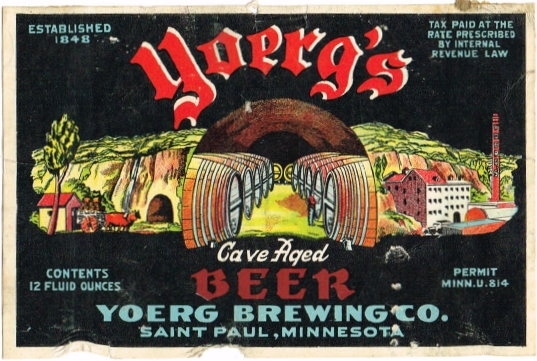 By the following year, Yoerg was already up and brewing in the area behind the Eagle Street Grille where he could use the bluffs to store his beer in which it was famously referred to as “Cave-Aged”. 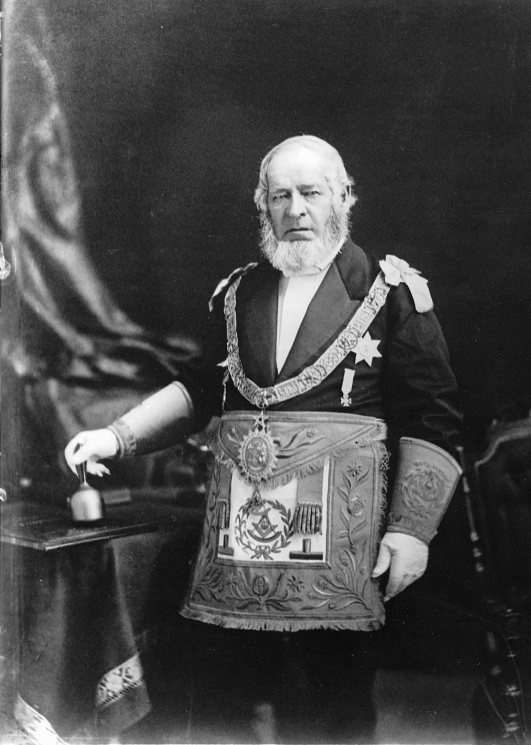 By the time 1871 came around his beer was in such demand that the brewery was getting too cramped and he needed to relocate. Finding a new location was as simple as looking across the river. The new brewery was built on the corner of St. Paul’s Ohio and Ethel streets. Here Yoerg had the perfect 47-degree climate for the storage and aging of the beer and more than enough room if needed for any future expansion of the brewery. Soon his new brewery was producing up to 50 barrels of beer a day and things were looking up for Yoerg and his crew. 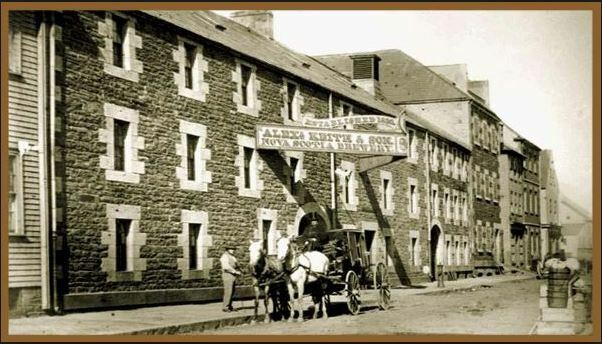 By 1880 the brewery had entered “the modern age” and installed steam power. The work crew consisted of around 20 workers including the brewmaster Joseph Slappi… (I could make a joke here but I won’t). In the next decade the styles were expanded by offering Pilsner (of course), Lager and Culmbacher, (not exactly sure what style that is but Kulmbacher is currently a beer in Germany which is made in…Kulmbach). 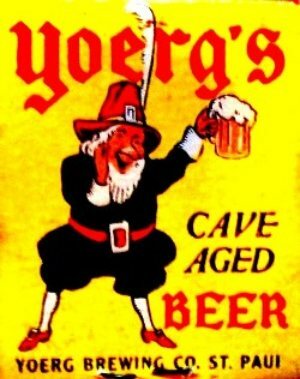 On a side note Yoerg had a slogan for their Royal Export beer and that was “The Queen of beers”…yeah I’m not sure what was going on in those caves but those guys spent way too much time together haha. Also, is this where Budweiser got the inspiration for their slogan? Sadly, in July of 1896 Anthony Yoerg died. After which Yoerg’s five sons took over the business and continued on. By far, the most and best information about Anthony Yoerg, the Yoerg Brewing Co., and the entire family, can be found at Yoerg’s Beer, a contemporary effort to bring back the Yoerg beer brand to Saint Paul. They also have a lot of history and images of all things Yoerg Beer. 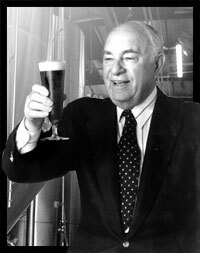 Saint Paul has a rich and storied brewing history, and it all started with the opening of Minnesota’s first brewery in 1848; The Anthony Yoerg Brewing Company. Minnesota, and in particular Saint Paul, had one of the largest German populations in the country back then, and these immigrants brought with them the great art of brewing. The German technology was much more advanced than the British influences that were prevalent at the time, and Minnesota had all the required ingredients to brew great beer; terrific water sources and lots of farmland to grow barley and hops. Anthony Yoerg was born into a brewing family on October 5th, 1816 in the Bavarian village of Gundelfingen. At 19 years of age, he immigrated to the United States and first settled in Pittsburgh Pennsylvania. Soon after he relocated to Galena Illinois and finally moved to a new Minnesota settlement on the Mississippi River called Saint Paul. For a very short time Anthony ran a butcher shop in a German neighborhood on the West Side but he quickly decided to change careers and opened a small brewery in the German ‘Uppertown’ neighborhood not far from today’s seven corners. 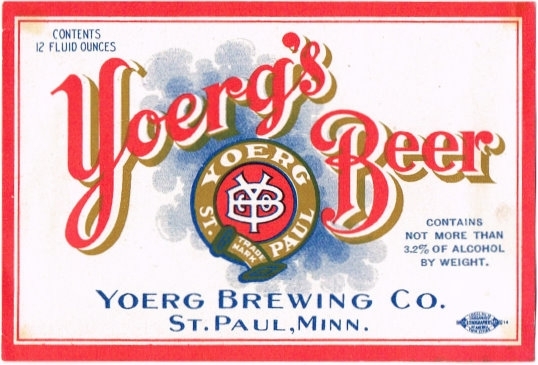 For 21 years Yoerg ran this little brewery with great success and Saint Paul was a becoming quite popular in the Midwest with up to 12 breweries operation at one time. But the Yoerg Brewery was the most revered of them all, and produced hearty, Bavarian styled beers that were the standard bearers of the state and the benchmark that every new Minnesota brewery would try to recreate. 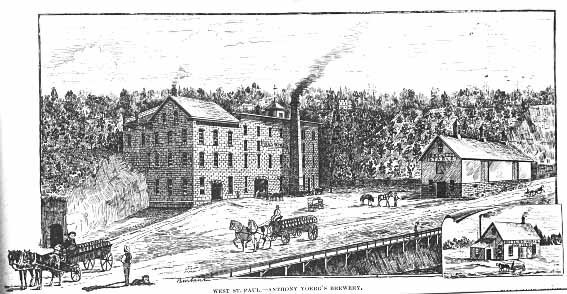 In 1871, Anthony built a great stone brewery across the river on Ohio Street on the West Side, just two blocks from Water Street. A mile of underground cooling caves were created and this new operation was a true, fully automated brewery that was the envy of breweries nationwide. 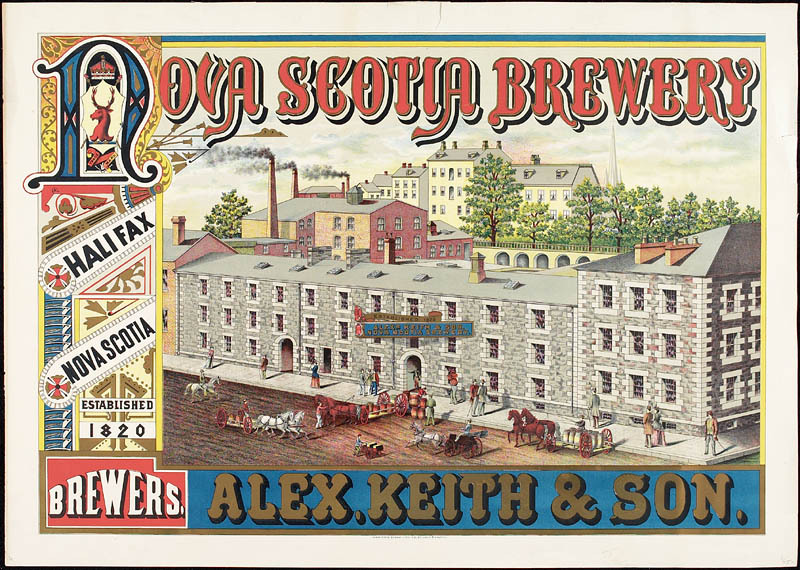 Production was now up to 50 barrels of beer a day, and by 1881, they were producing over 20,000 barrels of beer a year. Ten years later and production has almost doubled with the brewery now producing over 35,000 barrels a year and they were one of the biggest breweries in the state (With Theodore Hamms and Jacob Schmidt far behind him). 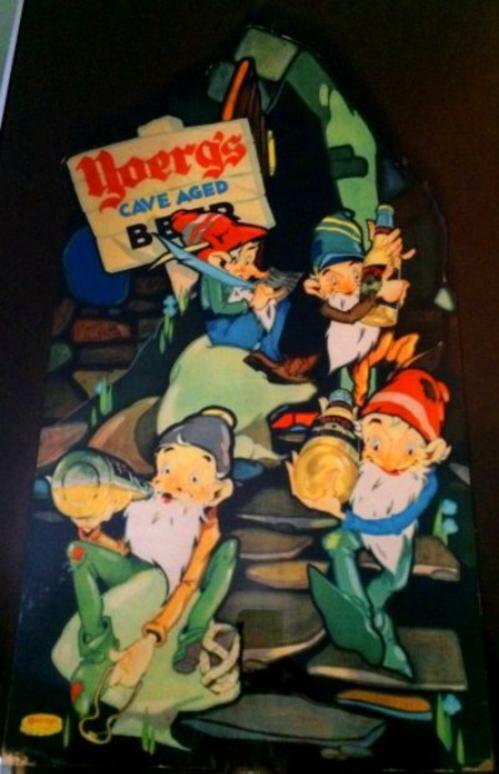 Yoerg’s ‘Cave Aged’ beers were produced exclusively from Minnesota grown Barley and 100% Washington State Hops. The water source was a deep well dug on the Brewery property and the Yoerg’s had their own Bavarian cooper on staff that made and designed all their own oak cooperage. The bottling line was the finest available and the family was constantly upgrading their equipment. 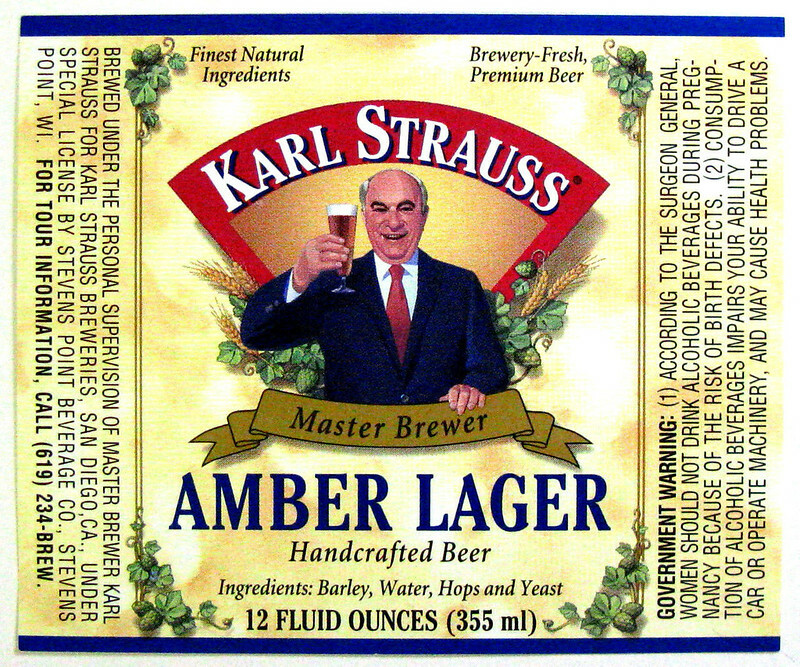 The Yoerg Lagers were produced utilizing the steam process, this meant that the beers were brewed at warm temperatures using lager yeasts, and the finished products were the richest and most lavish beers on the market. The family was also famous for hiring other German immigrants back then to work at the brewery (the entire staff were almost all Bavarian born). 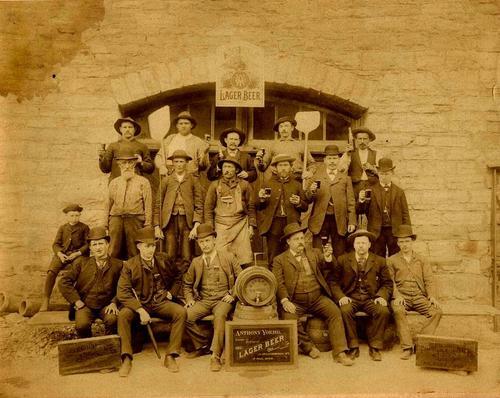 Yoerg Brewery employees in the 1880s. Today is the birthday of Irish novelist, playwright and satirist Brian O’Nolan, who was “considered a major figure in twentieth century Irish literature. Born in Strabane, County Tyrone, he is regarded as a key figure in postmodern literature.” Under the pen name Flann O’Brien, he wrote two influential novels, “At Swim-Two-Birds” and “The Third Policeman.” In 1940, he began writing a daily column for The Irish Times entitled the “Cruiskeen Lawn,” which trasnaltes roughly as “the full little jug.” He originally started writing it under the pseudonym “An Broc” (the badger) but quickly changed it to “Myles na gCopaleen” and finally “Myles na Gopaleen,” which is the one that stuck. He continued writing it until shortly before he died in 1966. Many of them have been collected in book form, and today I was perusing “The Best of Miles,” published in 1968, and discovered this little gem in a chapter entitled “Research Bureau,” about his patented new “Stout Trousers,” that would allow a person to conceal eight bottles of stout in his pants. “Before the leaves of autumn fall, the Research Bureau, spurred on by the exhortations of Sir Myles na Gcopaleen (the da) will have provided new patent emergency trousers for the plain people of Ireland. These garments, conventional enough in appearance, will be fitted with long eel-like pockets reaching down to the ankles. The pockets will be the exact diameter of a bottle of stout and not by any coincidence, for they are designed to deal with the nuisance of those brown-paper Saturday-night parcels. It will be possible to stow four shots in each leg. At first, walking in the ‘loaded’ position will necessarily be rather slow and straight-legged but practice will tell in the long-run, which should be undertaken only after short runs have been mastered. 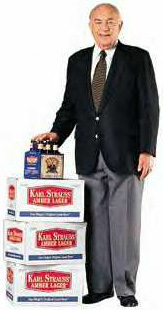 I’m not really sure why nobody ever made Stout Trousers for real. 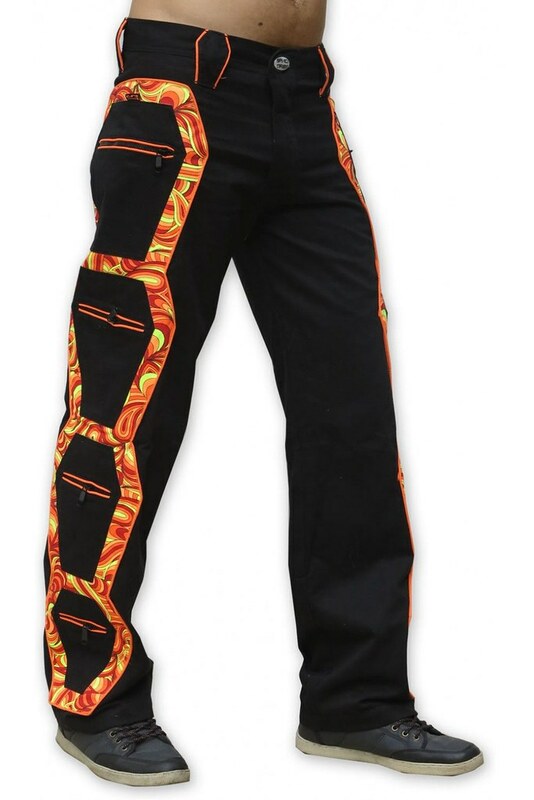 This photo below is the closest I could find of what I imagine the pants would look like. 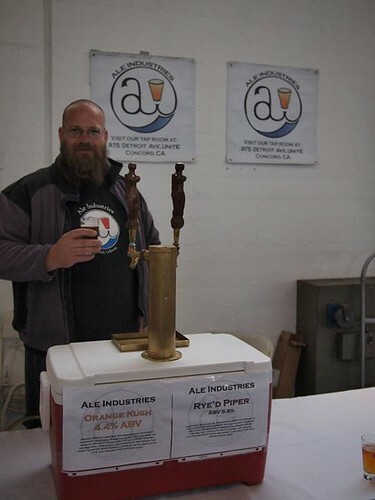 Today is the 41st birthday of Morgan Cox, founder and brewmaster of Ale Industries in Concord, California. Morgan started homebrewing at an early age, and washed kegs for Dave Heist at HopTown, before brewing at E.J. Phair. After eight years there, he left to open his own brewery, Ale Industries, where he’s been making inventive, tasty beers very since. Join me in wishing Morgan a very happy birthday. 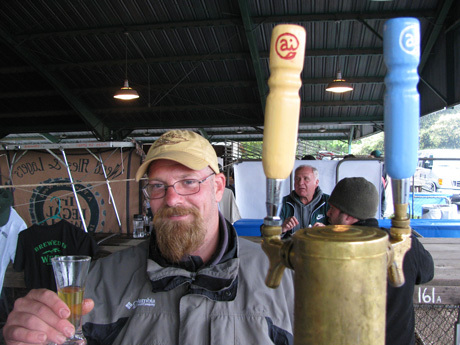 Morgan at the rainy Boonville Beer Festival in 2009. 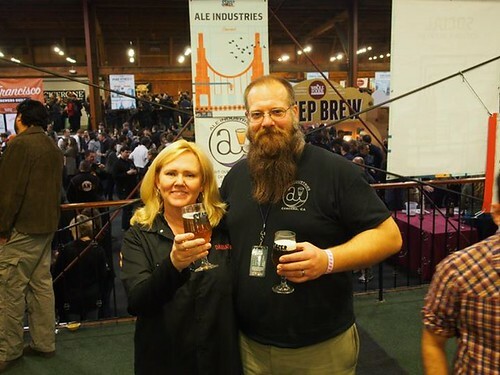 Morgan with Annie, or Annie N Crew, at the opening gala for SF Beer Week earlier this year. Morgan pouring at the Breastfest in 2012. Note: the last two photos purloined from Facebook.